I believe in cutting through the layers of complexity to the most effective and commercial strategy to assist my clients in achieving their goals. I am a joint leader of T+M’s Business Advisory and Dispute Resolution Group. 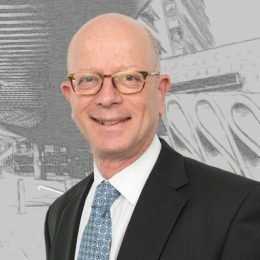 I have over 35 years’ experience which allows me to assist clients in the most challenging commercial disputes. I have a particular interest in competition and consumer law, intellectual property, contractual and liability disputes. Working with my clients, we have achieved a number of breakthroughs for their businesses. In the area of competition law, I have negotiated directly with the Australian Competition and Consumer Commission (ACCC) at its highest level (the then Chairman of the Commission) and conducted the successful defence of a corporation in the Federal Court against the most serious of proceedings brought by the ACCC – an allegation of price fixing. I have used this and other competition law experience to conduct clients through the intricacies of mergers and acquisitions, manufacturer’s liability and compliance with the law. I have acted in numerous intellectual property matters including the defence of a client against Federal Court proceedings brought in relation to an allegation of copying or reverse engineering the formula for a chemical used in the mining industry. By assisting Australian Laboratory Services Pty Ltd (“ALS“) protect their invention “Ionic Leachant” from claims of reverse engineering, Peter Archos helped ALS retain this part of its business and avoid potentially paying substantial damages. The Applicants (SGS Group Management SA and SGS Australia) are a Swiss multinational and its Australian subsidiary and together the biggest provider of geochemical analysis services to the mining industry in the world. Peter acted for the Respondent, ALS, which is a division of ALS Limited (formerly Campbell Brothers Limited). ALS Limited is listed on the Australian Stock Exchange and employs more than 13,000 people in 55 countries. ALS had, for over 10 years, used a particular product (a partial leachant used to detect the presence of minerals) in the provision of ore analysis services to its customers. SGS acquired the company that provided the product to ALS and immediately terminated ALS’ right to use the product. As a consequence, in order to continue to supply services to its customers, ALS developed its own partial leachant – “Ionic Leach”. The central allegations made by SGS in the proceedings, which were conducted in the Federal Court of Australia (Western Australia registry) was that, in breach of its contractual and equitable obligations , ALS had copied, imitated, reverse engineered or otherwise obtained the formula of the SGS leachant and used it to develop the ALS leachant. A subsidiary allegation made by SGS was that ALS had, in the marketing of its Ionic Leach, breached the provisions of what used to be s 52 Trade Practices Act by making false and misleading representations concerning Ionic Leach. In order to establish a breach of the relevant contract SGS had to establish that ALS deliberately or intentionally attempted to copy, duplicate, imitate or reverse engineer the SGS product – SGS failed to do so. SGS asked the Court to infer that, because of the similarity of the products, which similarity was alleged by SGS, ALS could not have developed its Ionic Leach product in the timeframe which it took without copying, duplicating, imitating or reverse engineering the SGS product. The trial judge determined that the two products were not the same. Further, he found that ALS developed Ionic Leach using its full resources and a number of chemists. One of the experts retained by SGS to prove its case conceded under cross-examination that a leach of the kind of Ionic Leach could have been developed within the timeframe taken by ALS if the developer had access to the resources of ALS. As to the allegation that ALS had breached the Trade Practices Act the Court determined that the representations made by ALS concerning Ionic Leach were neither false nor misleading. The trial was conducted in Perth in December 2011. The decision was handed down in July 2012 with the decision published to the public in September 2012. The Application brought by SGS was dismissed and it was ordered to pay ALS’ costs of the proceedings. I also undertook the defence of a national clothing manufacturer/retailer accused of copyright infringement. The copyright was in fabric patterns incorporated into women’s clothing. One of the largest pieces of litigation I undertook was a commercial / contract dispute regarding a joint-venture agreement; specifically the dissolution of a joint-venture which had assets valued at $150 million. This involved three trials before the Supreme Court of Queensland and two appeals to the Queensland Court of Appeal; all concluded within one year. The primary judge congratulated the lawyers on their efficient conduct of the proceedings. When Peter Archos used his expertise to steer a contract dispute away from the courts and settle it successfully, the clients were able to move forward with their business goals. “In 2013 we found ourselves in a contract dispute over damage to one of our machines that was on hire to a large construction firm on a project in Queensland. Following discussions with our local solicitor I was referred to Peter Archos at Thynne + Macartney lawyers in Brisbane. Peter was really good to deal with from day one and offered me logical professional advice throughout the course of this matter. All the evidence was gathered by his team in an efficient cost effective manner. The matter was settled without having to be heard in court which was a great relief to me both mentally and financially. I advise clients in relation to their liability for breach of their duty of care or professional negligence. Recently I represented a party in the Supreme Court of Victoria in respect of an alleged breach of duty of care and negligence. This was complex litigation involving among other things, the discovery of tens of thousands of documents. I also assist claimants who have been affected by resumption of property and prosecute claims for compensation in the Land Court. Our team of specialists in urban resumptions use their extensive experience to help clients be better informed about their rights as they negotiate for compensation. We are experts in the Acquisition of Land Act 1967 and its powers to resume land for purposes such as road or water infrastructure, among others. 1. A property located near the border of Logan City was resumed by the Brisbane City Council. Proceedings were commenced for recovery of compensation in the Land Court. The Brisbane City Council had paid an advance against compensation (this is the resuming authority’s estimate of the claimant’s entitlement to compensation) of about $2.5M. This property had the potential to be developed as a large residential subdivision. In order to substantiate the client’s entitlement to compensation, on the basis of the highest and best use to which the land could have been put, it was necessary to prove that, but for the resumption, development could have taken place. This involved the complexities of town planning approval including incidental matters such as civil engineering and traffic. The matter was further complicated by the presence of very rare fauna and its preservation. Immediately prior to commencement of the trial the compensation amount was resolved directly between Peter and the then Lord Mayor of Brisbane and resulted in agreement in an amount of compensation which was four times greater than the amount which the Brisbane City Council had initially advanced. 2. Peter represented a business owner/tenant and a land owner both of whom were affected by the resumption by Translink of business premises. The implications of the resumption on the business of the business owner/tenant were very far reaching as, in order to preserve its business, it had to either relocate nearby (this was a very expensive option) or relocate its entire business (including divisions which were not affected by the resumption) to a new site. Translink argued the business owner/tenant was not entitled to be compensated for the cost of the options which the business owner believed had to be implemented in order to save its business. Eventually a multi‑million dollar sum was paid by Translink in respect of the disturbance of the tenant’s business. Additionally, the claimant land owner received satisfactory compensation in respect of the loss of its land. Although a formal claim for compensation was made, no court proceedings were commenced and the compensation was received by the claimants much earlier than would have been the case had proceedings been commenced. “Thynne + Macartney has recently served as the law firm acting on my behalf with respect to a land resumption dispute with the City of Brisbane. I am pleased to report that the dispute was settled to my complete satisfaction. While significant time and money was spent upfront on discovery and expert advisory services, the ultimate settlement arose from mediation (as the Firm predicted) which, in turn, obviated the need for expensive trial litigation before the Land Court. The ultimate result was a proverbial “win-win” for both parties. The attorney assigned to the matter, Peter Archos, provided exemplary service combined with in-depth and relatable experience with and knowledge of resumption disputes. The result was pain-free litigation from this client’s perspective. Legal costs, while significant, fell within the norm for matters of this type, with the final costs closely matching the initial projection. My clients range from public companies to small and medium business, and can be found in the energy and infrastructure supply, property development, retail, real estate and investment, fashion, construction, transport and metals industries. Also in the manufacturing industry including chemicals, clothing and food. Peter has a Bachelor of Laws from the University of Queensland.